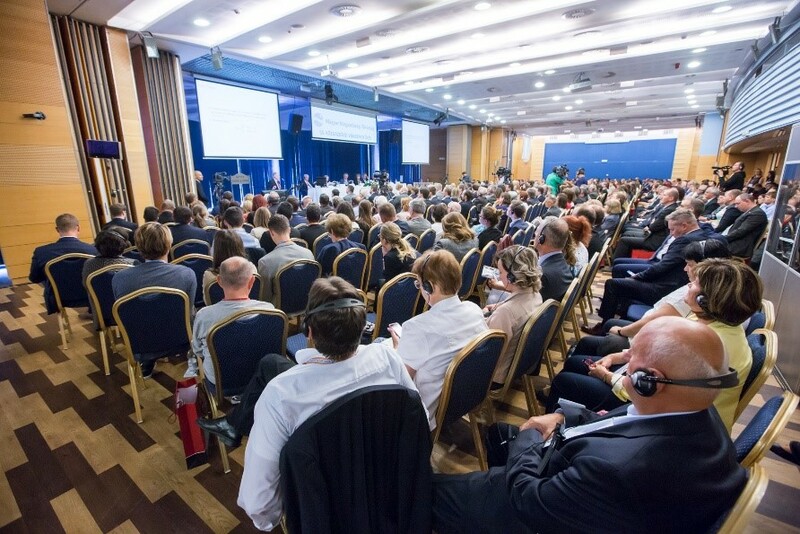 The Itinerant Conference organized by the Hungarian Economic Association (HEA) is a top-level, annual event of the economist society. In this year, the conference focused on the topics of digitalization and competitiveness. During the three-days conference, 900 participants had the opportunity to exchange their thoughts related to global financial and economic dilemmas. Among the participants, one could find ministers, ministers of state, bank and corporate leaders, university lecturers and researchers as well. The key topic of plenary and session speeches were competitiveness and Industry 4.0. At the conference, MTA SZTAKI was represented by László Monostori director, presenting “Technological paradigm shift to reach a new era in competitiveness”, and Gábor Nick presenting “Industry 4.0 and Hungary”.